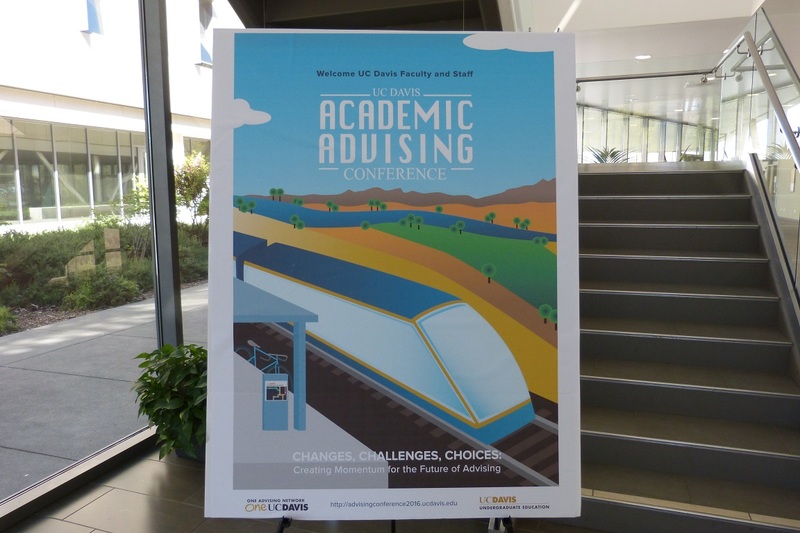 The campus advising community converged on the UC Davis Conference Center to take part in the second annual UC Davis Academic Advising Conference held March 17, 2016. The theme, “Changes, Challenges, Choices: Creating Momentum for the Future of Advising” compelled advisors to approach change through a lens of opportunity, synergy, motivation, and improvement. The conference endeavored to inspire progress and empower advisors with choices through challenges that result from systematic, technological, cultural, and procedural change. 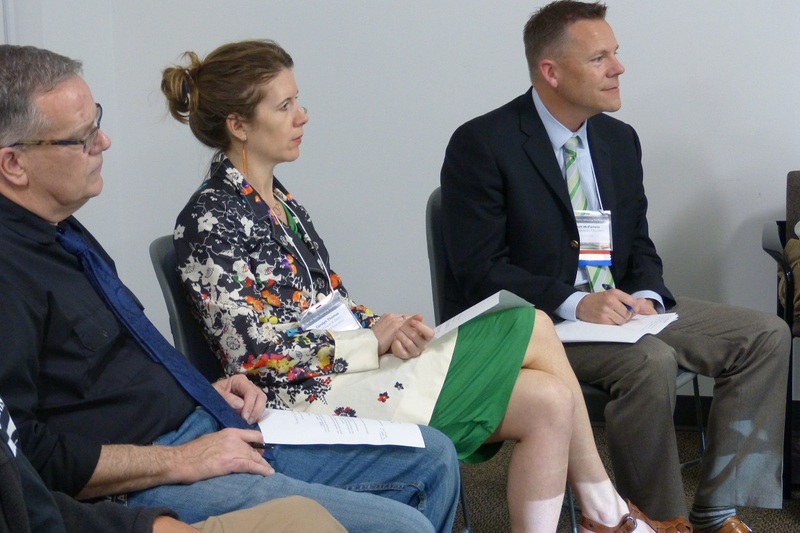 Five concurrent breakout session options occupied each of the four breakout time slots for a total of twenty topical presentations. Session themes included personal reflection, self-care, positive psychology, power structures, mandatory advising, international advising, professional development, cultural contexts of advising, and student-centeredness. UC Davis advisors had great successes to celebrate during the past year. Director of Academic Advising Brett McFarlane recognized the UC Davis Advising Award winners and the NACADA Region 9 Award winners during the opening session of the conference. He also interacted with the audience, requesting that conference-goers stand if they had, in the past year: volunteered on an advising committee, facilitated an advising workshop, completed the Developing Deeper Advising Relationships/Nuts & Bolts/Distressed and Distressing Students workshop, or attended a Coffee Talk. An overwhelming majority of the audience stood to mark their participation in these activities, demonstrating the engagement and active contributions of advisors. The visual impact of the exercise conveyed a sense that the advising community values professional accountability, growth, and progress. Associate Vice Provost and Director of Summer Sessions Matt Traxler, along with Director of Communications Sharon Knox shared updates about Summer Sessions during the conference opening session, presenting critical programmatic changes that directly address identified limitations of affordability and course availability. In response to the challenges, the Associate Vice Provost stipulated that a record $10.5 million in financial aid will be invested by campus such that every aid-eligible student will receive a grant; he also shared that course offerings overall have increased by 10% with over 300 courses guaranteed against cancellation. The Director of Communications concluded with an appeal to advisors to contact her with feedback, thoughts, and ideas that further the ongoing enhancement of Summer Sessions. Vice Provost and Dean Carolyn Thomas opened the afternoon session with a declaration that the commitment to advising has reached an unprecedented level, as set forth by campus leadership. Growth and improvement take time and hard work, but she pointed out that “sitting in the midst of all the labors of the present…we are paving the road so we can arrive at that impactful advising future.” She laid out specific investments and advancements including $4 million from the Provost for additional advisors and technology, professional development expansion, and the implementation of mandatory advising amongst a significant campus subset. These enhancements work to create a culture of undergraduate academic excellence and access, because, as asserted by the Vice Provost and Dean, “students climb higher and faster when they have opportunities to be shaped by advisors’ knowledge and hearts." NACADA President David Spight engaged the audience with an entertaining and thought-provoking keynote that began with a statement from Tinto (1988) on the value of advising, saying that effective advising exists at the core of all successful retention programs. He echoed the theme of the day, asserting that the advising community has an opportunity to make choices in response to institutional change. On an individual level, he encouraged advisors to intentionally improve advising through professional and scholarly engagement and to continually build relational skills, conceptual understanding, and informational knowledge. He highlighted the uniqueness of each student and emboldened advisors to utilize a multiplistic approach because, “not one approach works for every student. Approaches are tools – the more you know, the more you can help.” Furthermore, he advocated for advisors to “think about students as individuals who are going to change the world.” Elaborating from a Viktor Frankl quote, the NACADA President communicated his belief that overestimating a student promotes them to become their best self. Undergraduate student Rachel Jackson and de:terminence founder Sean Baumstark, marked the conclusion of the conference with moving and inspirational speeches. Both spoke about their own personal journeys to contend with unique and significant challenges. Rachel provided insight into the re-entry student experience and the importance of mentors, advisors, and community. Sean talked about living with a rare debilitating disease, Friedreich’s Ataxia, and shared his perspective that “life is about how we react.” As the conference came to a close, the audience roared with applause. 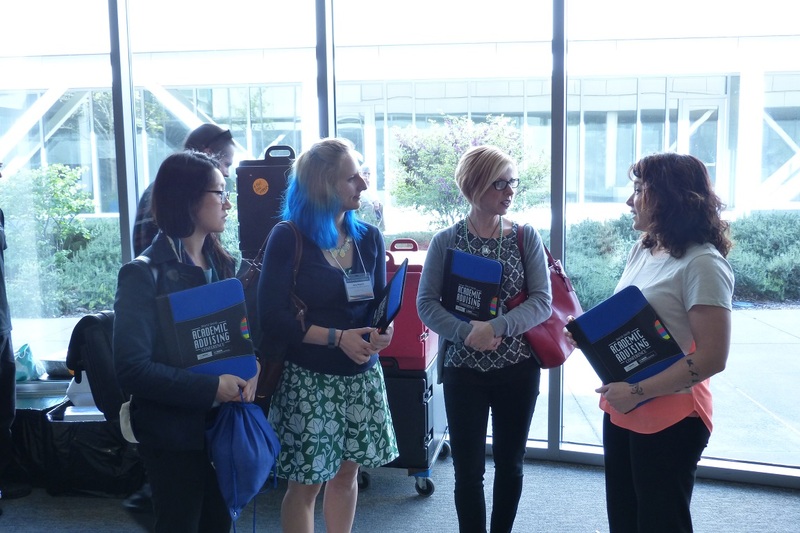 The 2016 UC Davis Academic Advising Conference was a great success due to contributions from across campus and beyond. Thank you to contributors and attendees; we look forward to seeing everyone again for the 2017 UCDAAC.